The perfect outfit for your little one! 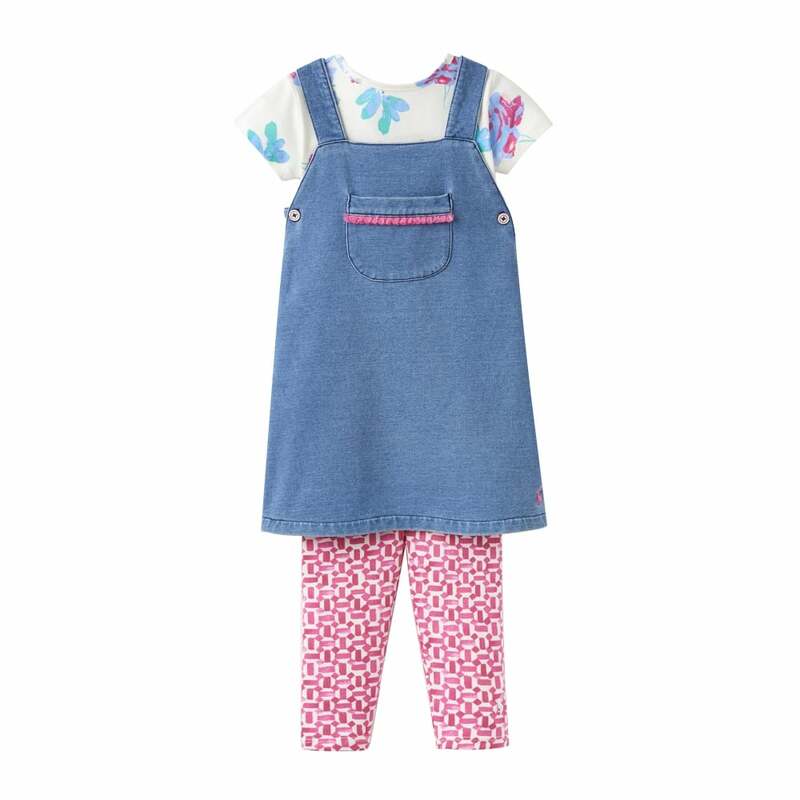 Containing a floral pattern t-shirt, funky geometric leggings and a denim pinafore. Cute details have been added to the dress, including a front patch pocket with bright pink fringing, and side buttons to make it easy to take on and off.